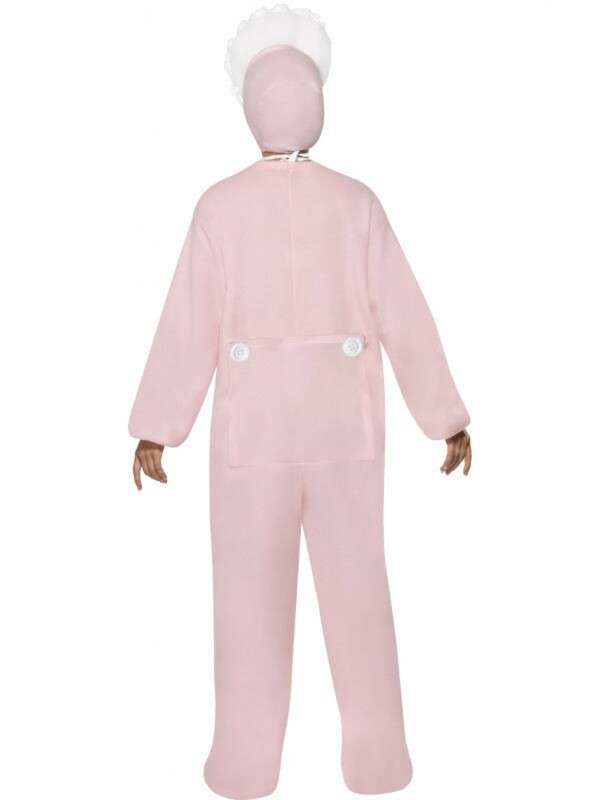 A pink baby romper suit, which includes bib & bonnet, in a soft fleece material. Great for any comedy fancy dress occasion. 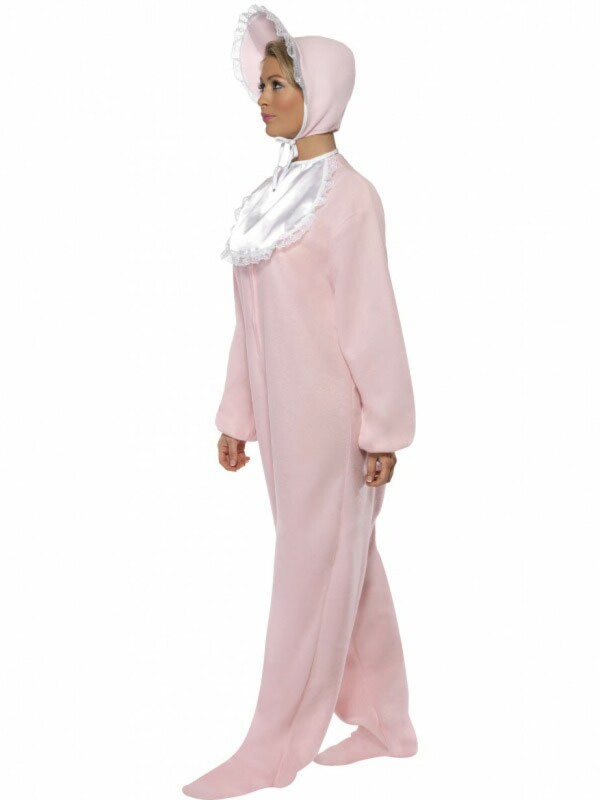 A pink fleece bodysuit which comes complete with a bonnet and bib to complete the look. 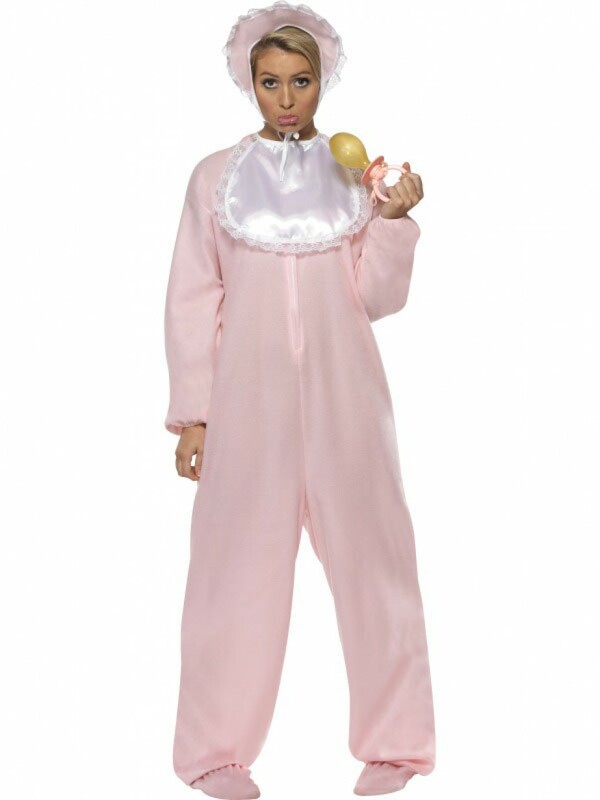 Great fun for Stag and Hen parties, Baby showers or any comedy occasion. One size to fit most. The sizing is very flexible due to the design. Size guidelines: Chest up to 44", inside leg measurement 30" and height up to 6'3". 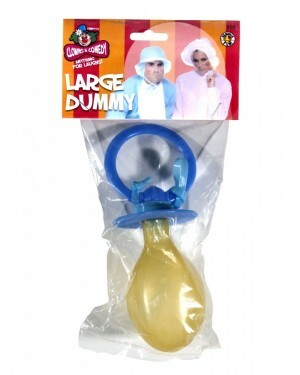 Please note that the dummy is not included.